In the world of hip-hop, one group stands supreme: Run DMC. Although Joseph “Rev Run” Simmons, Darryl “DMC” McDaniels, and Jason “Jam Master Jay” Mizell stood upon the shoulders of several rap giants, their countless contributions to the genre are unparalleled in scale and scope. More recently, outside of the music arena, Darryl McDaniels has ramped up his role as a social and political activist – tackling issues within foster care and the adoption arenas in particular. 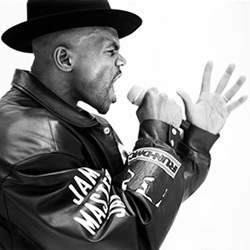 Even so, in spite of his jam-packed calendar, DMC managed to squeeze some time out of his busy schedule and settle down for an interview with Clayton Perry – reflecting on the 25th Anniversary of Krush Groove, the influence of Ken Webb, and Run DMC’s prophetic induction into the Rock and Roll Hall of Fame. Willy Northpole’s presence on the mainstream rap scene is a testament not only to his talents, but also the groundbreaking arrival of Southwestern hip hop. 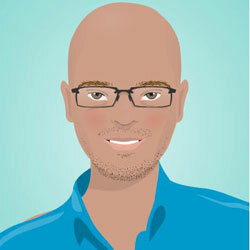 In fact, the way in which Willy made his mark from Phoenix, Arizona, as a musical “connect,” may be a sign of things to come – especially in the digital music landscape. As the newest member of Disturbing Tha Peace, Willy Northpole has obtained the support of Christopher “Ludacris” Bridges, who was largely responsible for putting the South on the national hip hop map. So with proper label support, a noteworthy debut from Willy may – for once and for all – put a permanent spotlight on the Southwest’s hidden talents. Upon the release of Tha Connect, Willy Northpole managed to squeeze some time out of his busy schedule and settle down for an interview with Clayton Perry — reflecting on “Body Marked Up,” the death of his cousin Salt, and the current state of hip hop. When Quincy Jones goes out of his way to support a new, budding artist, the world would be wise to grant an audience to the apple of his eye: Karina Pasian. On May 16, 2004, Jones invited Pasian to perform in Rome for his “We Are the Future” benefit concert, which was concerned about children in war-ravaged cities. Shortly thereafter, Pasian earned a place in history, by becoming the first person of Dominican descent to perform at the White House, at the age of 15. A classically trained pianist, Pasian also sings in seven different languages. And while her Def Jam debut, First Love, only makes use of two, English and Spanish, Pasian’s music has transcended language barriers and inspired thousands of fans around the world. Her first single, “16 @ War,” is a powerful introduction that resonates with female empowerment and expresses the day-to-day hardships that many young females face. Upon review of First Love, Karina Pasian managed to squeeze some time out of her busy schedule and settle down for an interview with Clayton Perry — reflecting on Ella Fitzgerald, her professional relationship with Quincy Jones, and society’s need for positive music.